After a super tough couple days, by yesterday I’d thought she was a goner. Knocking on death’s door. Around midnight, she seemed to perk up a bit, tugging at my leg. Not at all what I’d expected, given how bad she looked yesterday. By morning, she seemed a little brighter still. 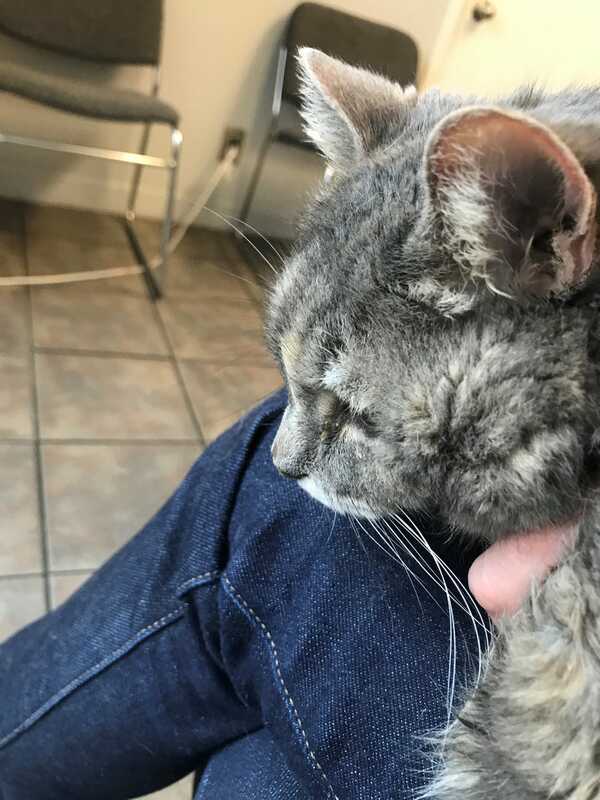 Given this turn, I took her to a vet clinic today, not to say goodbye, but to see if we could save her. The good news— blood tests don’t indicate kidney failure or cancer. Urinalysis kind of inconclusive, but won’t have the full results until probably Wednesday. She got an IV, anti-nausea shot, and antibiotic, and I was sent home with a weird topical apetite stimulant med. Total time at the vet-5 hrs. Total cost, $700. Mostly spent waiting. But you take what you can get on a Sunday morning. She ate a little nibble for the first time since like Wednesday. Still have to get her back to food, water, and evacuation. But she may pull through. Thank you for all your kind words, Oppo. Y’all are always the best. I guess that’s why we all keep coming back.